Samsung has recently introduced the launch of its new A-series smartphones with Galaxy A50, Galaxy A30 and Galaxy A10. 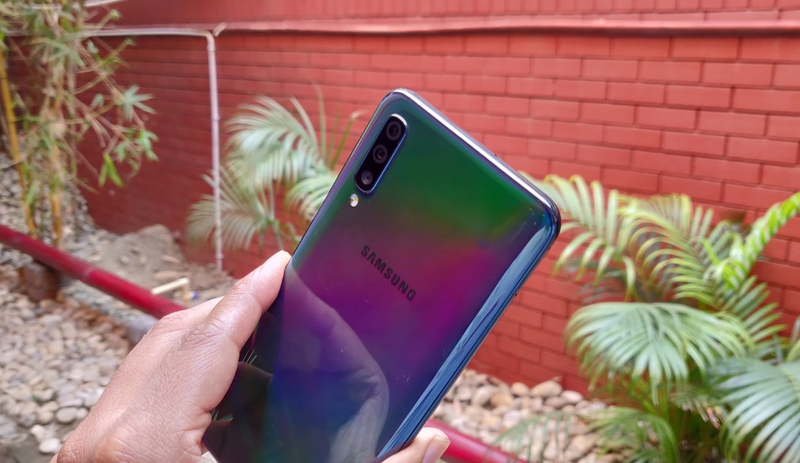 The Samsung Galaxy A50 comes with a price tag of Rs 19,990 for 4GB RAM variant, while the 6GB RAM option is priced at Rs 22,990. Samsung has made some important changes with its latest Galaxy A50. To begin with, the brand has opted for a refreshed design language coupled with Infinity-U display, triple-camera setup and in-display fingerprint sensor. However, is it enough to give a fierce competition to its rivals and regain its top spot in the Indian smartphone market? Let’s get a closer look. 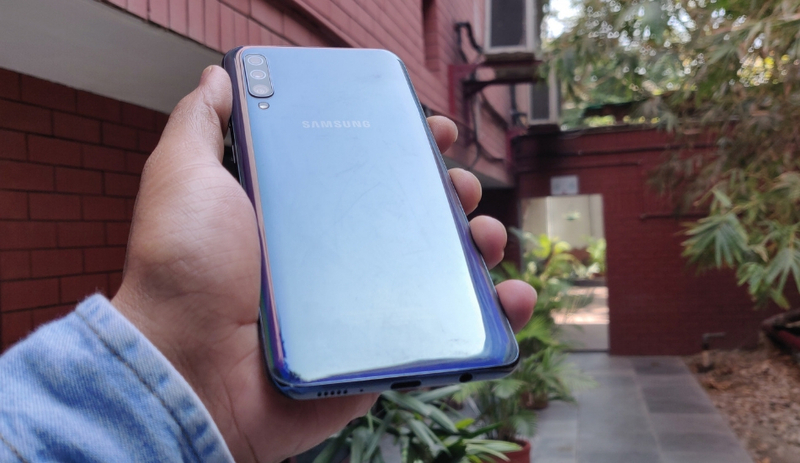 What we like about the Samsung Galaxy A50! 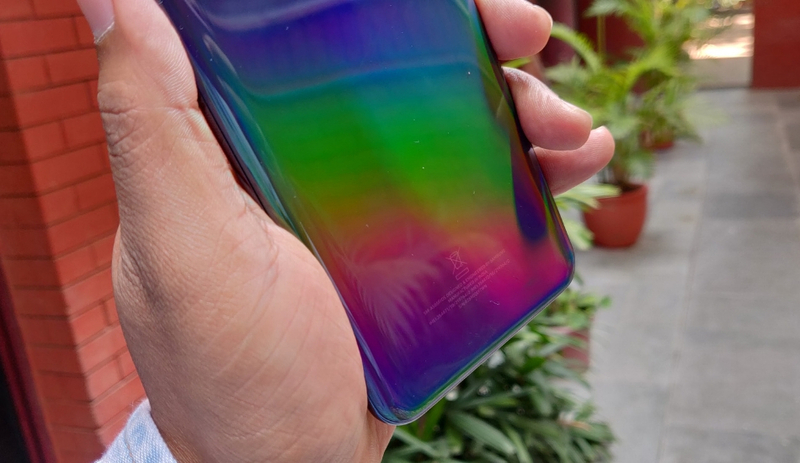 Let’s start with the most striking part about this device, the new Prism-style gradient finish at the back. The glossy finish at the back panel reflects a rainbow pattern when the lights fall on it. This gives a pretty unique and premium look to the phone. The Galaxy A50 is quite sleek and it comfortable to hold in your hand. However, the smudges are quite prominent on this smartphone, so a protective case is a must with this one. That said, it is safe to say that it one most well-designed smartphones from the company. Coming to another highlight of the smartphone is the display. The phone is equipped with a 6.4-inch Full HD+ Super AMOLED display with a screen resolution 2340 x 1080 pixels. The screen offers some crisp colours and viewing angles being quite decent. Blacks are deep and you get punchy colour output, which makes it a treat when you stream content on Netflix or Amazon Prime Music. The macro shots came out to be good as well and it was quite fast to lock focus on the subject. Coming to the selfie performance, the phone does a reasonably good job in providing selfies with ample amount of details. The wide-angle lens comes handy at times when you need to take more area in a frame. However, photos do come with some barrel distortion, which can be fixed in the gallery application. The phone is loaded with new OneUI, which is based on Android 9.0 Pie. The new user interface from Samsung is butter smooth and comes loaded with a host of interesting features. The notification panel offers minimal design with big size icons that drops down to the bottom of the display making it easier to reach. The brand has also introduced Night Mode, which makes the whole user interface black. Then you have Google’s Wellbeing feature, which helps you keep a track on your app usage. What we didn’t like about Samsung Galaxy A50! Although the design and display look quite great in this smartphone, the performance was a mixed bag with this one. Starting with the in-display fingerprint sensor, it is quite slow in our testing. 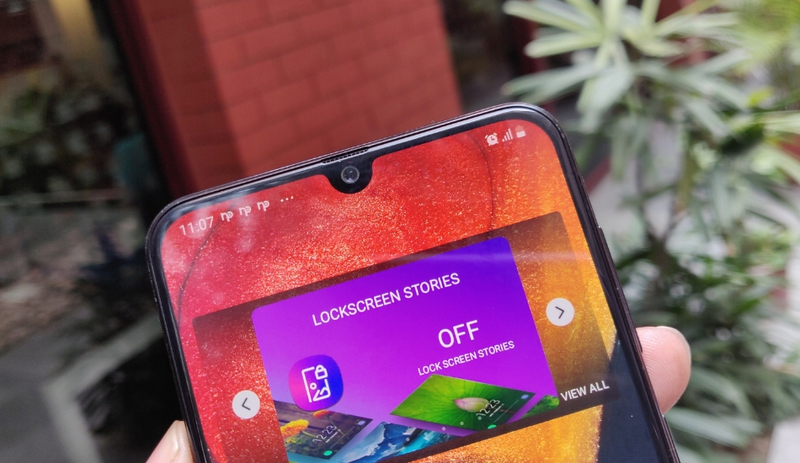 The Galaxy A50 takes a noticeable amount of time to unlock the phone as compared to the one present in Vivo V15 Pro or V11 Pro. You need to place the finger at the right place or else it will fail to register the impression. Coming to the hardware performance, the Samsung Galaxy A50 is able to handle most of the daily tasks quite effectively and it performs most of the multitasking decent, but we felt that the performance is somewhat underpowered as compared to its competition. The phone was smooth but not as fast as we saw in Poco F1 or Vivo V11 Pro. We noticed the app load was slightly higher as compared to Vivo V11 Pro or the Xiaomi Poco F1. The gaming performance is decent as it can handle most of the casual titles like a pro, but when it comes to high-end performance, we noticed some lag or shutter. Another area where it shimmers a bit is in low light conditions. We noticed that the photos could have been better as there were a noticeable amount of grains. The selfie camera also took average shots when the lights were not that great. Although OneUI has its fair share of hits, there are some misses as well. We thought that the icons size was way too bigger than our liking. 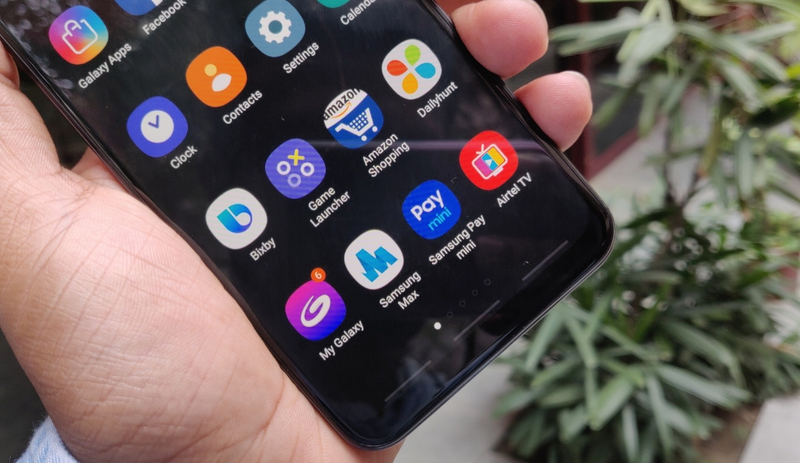 Also, the company continues with lots of bloatware – third-party apps being Microsoft Office suite, Amazon Shopping, Dailyhunt along with Samsung’s own suite of application. You need to be careful while setting up the device as it asks your permission to download some “important apps”, which are not useful and comes loaded with a host of advertisement. The phishing notifications from MyGalaxy app continues to be a disappointment, and the Lock screen stories still display ads as well.